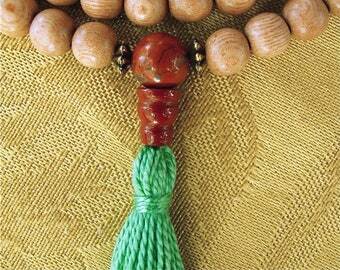 This picture jasper mala with moss agate markers and carnelian is strung on hand-knotted green bead cord. The design of tan, dark green, and deep orange was inspired by the colors of an Indian jungle temple. It is strung with love and prayer and finished with a handmade French silk tassel and a three holed carnelian guru bead set. It is made to order and ships quickly–within 5-9 business days after I receive your order. 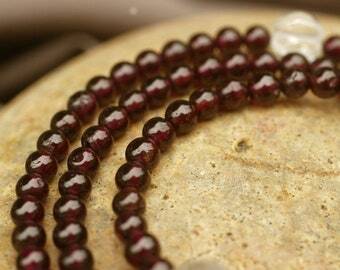 There are 106 picture jasper beads, with two carnelian marker beads and three moss agate beads, for 111 beads total. 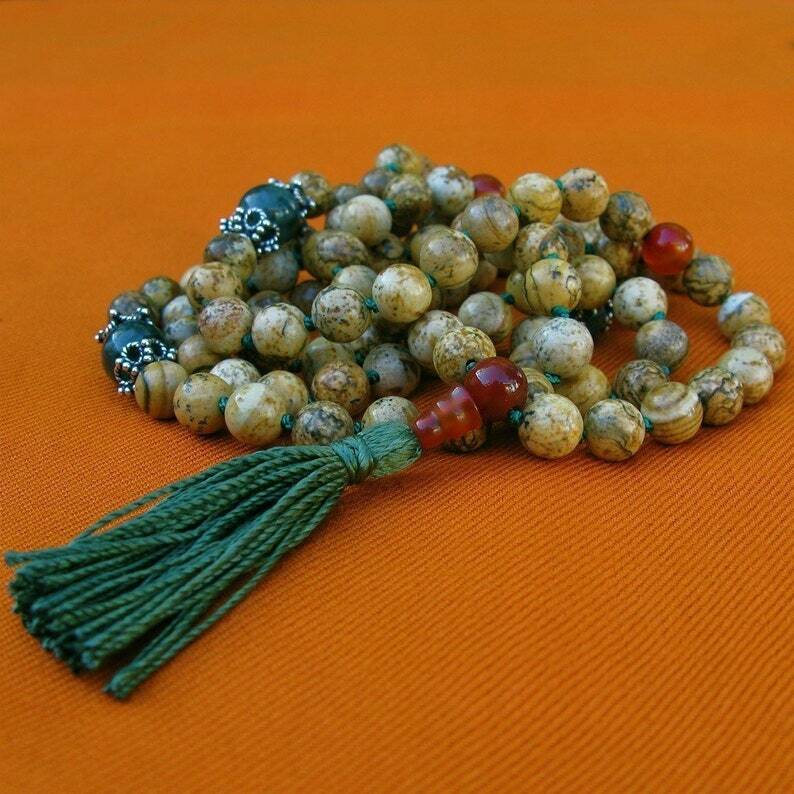 This set of prayer beads feels soft, grounding, and smooth. Can be worn gently around the neck or wrist. When worn it will hang to the solar plexus on an average-sized woman. Sales tax on California sales added automatically in Paypal checkout.